Few slipjoints are as recognizable as a classic Barlow. 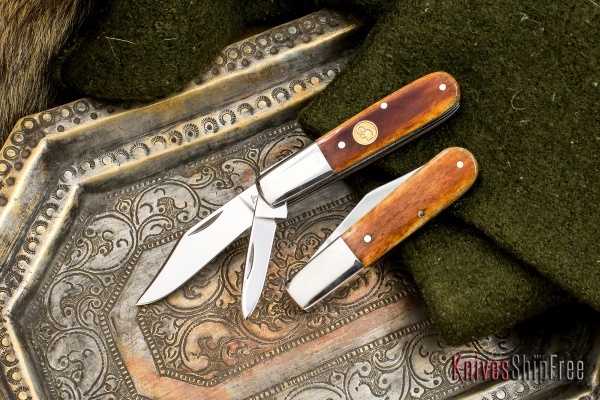 Although the design originated in England, over the centuries it’s become an iconic American pocketknife. Canal Street Cutlery understands the legacy, lore and love of the venerable pattern, offering us this two-blade English Barlow scaled in whimsically named “Tootsie Roll” smooth bone. And because it comes from the master cutlers at Canal Street, its quality, fit and finish are second to none. This entry was posted in Canal Street Cutlery, EDC, Traditional and tagged Bone, Slipjoint. Bookmark the permalink.